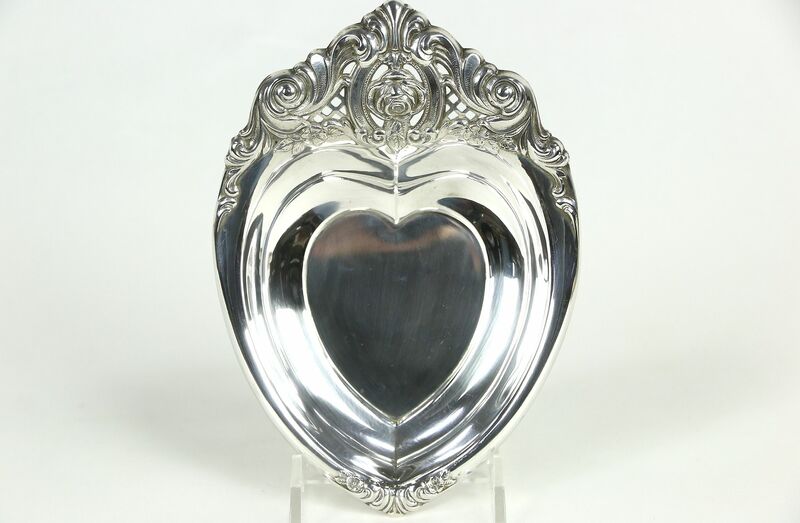 Signed by famous maker, "Wallace," this heart shaped tray has an embossed rose and filigree piercing and is about 60 years old. Size is 5" by 6 1/2" by 1 1/2". Please view 5 photos at full screen size for best detail.